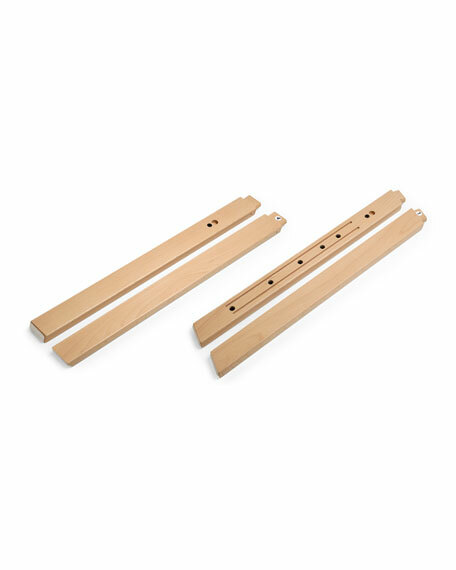 Chair legs for Stokke® Steps highchair (sold separately). Part of the Stokke® Steps Chair concept. Can be used together with the Steps Bouncer bringing your newborn to the table and with the Steps Baby Set to create the highchair. Easy assembly to chair seat. Wide color range to suit your unique needs and taste. Please note: Set of four chair legs. Seat is sold separately. Light assembly required. For in-store inquiries, use sku #2180996.